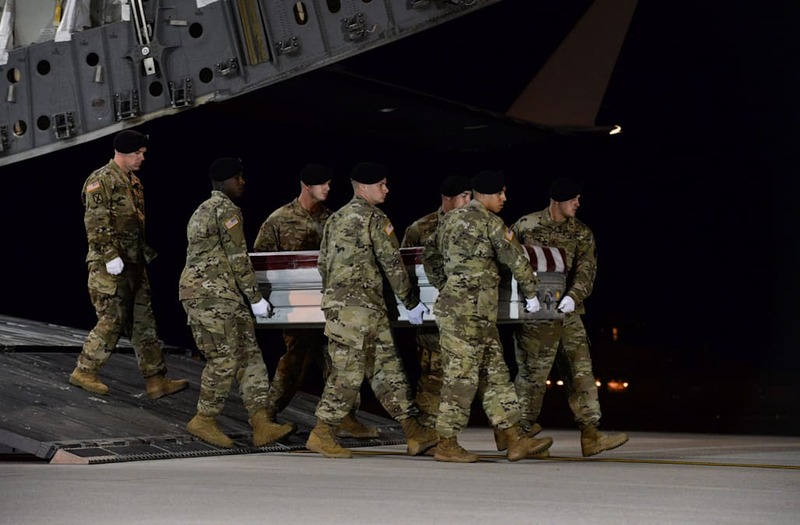 The brother of one of the American troops killed in Niger wants to know if the Army made any missteps during the fatal operation. His brother, 29-year-old Staff Sgt. Dustin Wright of Georgia, was killed in the Oct. 4 ambush outside Tongo Tongo. He was part of a 12-man Army team returning from a relatively routine patrol alongside some 30 Nigerien troops when ISIS-tied local tribes launched the attack, officials said Monday. Gen. Joseph Dunford, chairman of the Joint Chiefs of Staff, described it as a “tough firefight,” promising to get more answers. Staff Sgt. Bryan Black, 35, Staff Sgt. Jeremiah Johnson, 39, and Sgt. La David Johnson, 25, were also killed during the ambush. Questions have remained as to why La David Johnson’s body wasn’t found for 48 hours and where it was once it was discovered. His death has also been the center of a White House controversy about President Trump’s tone with the slain sergeant’s widow during a condolence call. Will Wright said nothing can reverse the damage, but he hopes an investigation could glean information to prevent future attacks.